This cabinet card shows Erastus Johnson Turner, a lawyer and politician from Hoxie, Kansas. A native of Erie County, Pennsylvania and the son of a Methodist minister. He lived in several states before locating to Henry, Illinois, in 1859 to attend college; a year later he moved to Bloomfield, Iowa. The start of the Civil War put a temporary hold on Turner's future plans. He enlisted with Company E of the Thirteenth Regiment of the Iowa Volunteer Infantry and was assigned to the Provost Marshal's Office. Turner served in Louisville, Kentucky and Nashville, Tennessee until mustering out in July 1865. After the war, he resumed his education by attending Adrian College of Michigan (1866-1868) where he received his degree in 1868. Turner passed the bar in 1871 and began practicing law in Michigan and Iowa before migrating to Hoxie, Kansas in 1879. In the northwest Kansas town he became a prominent member in the community through his law practice, real estate ventures, and ownership of a sheep ranch on the south banks of the Solomon River. He also served two terms as a Republican (1881-1885) in the Kansas House of Representatives from District 125. 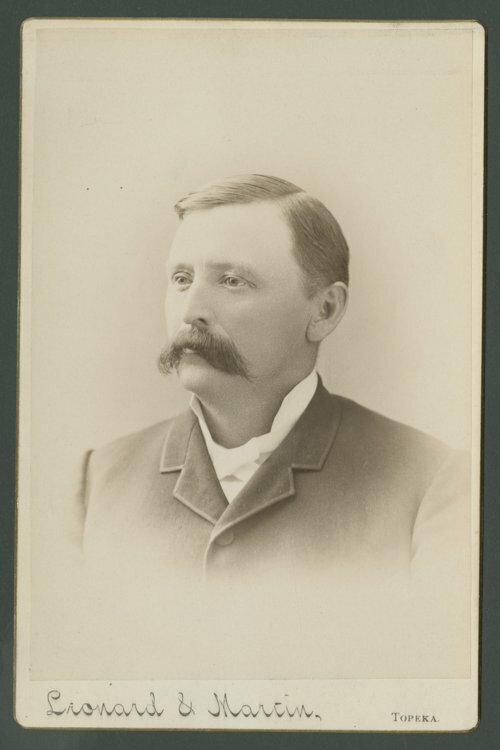 In addition to his political responsibilities, Turner was elected secretary of the Kansas Board of Railroad Commissioners. He held this position from April 1, 1883 to August 1, 1886. His political career continued to intensify when Turner was elected two terms, 1887-1891, to the U. S. House of Representatives. He served as a Republican in the Fiftieth and Fifty-first Congresses until he returned to private life in 1891. For a number of years, Turner practiced law in Washington, D.C. and Seattle, Washington. On February 10, 1933, Turner passed away at the age of eighty-seven in Los Angeles, California. Burial was conducted at Forest Lawn Mausoleum, Glendale, California.